NPQ has discussed the issue of journalism with the goal of impact vs. clinical reportage of facts. Environmental journalists often walk the line between reporting—revealing truths—and advocacy, and they take risks akin to those reporting from dictatorships, wars, and disasters. Tristan Ahtone, board member of the Native American Journalists Association, says it was apparent that reporters at the Standing Rock Indian Reservation in North Dakota protests against the Dakota Access Pipeline were taking a side. Reporters were arrested, too, in the sweep of protesters. But it happens around the world—journalists are arrested, harassed, and harmed. Between 2005 and 2016, 40 journalists were killed reporting on environmental issues worldwide. Fewer journalists were killed reporting from Afghanistan during the US war. In 2013, independent journalist Rodney Sieh was sentenced to 5,000 years in prison in Liberia and a fine of $1.6 million for reporting that the former agriculture minister was involved in a scheme to misuse funds assigned to fight Guinea worm disease. Sieh served three months in the country’s worst prison before the global community pressured Liberia to release him. Miles Howe, a Canadian, covered protests by the Elsipotog First Nation in New Brunswick against fracking for natural gas. Howe was arrested many times, witnessed the violent arrests of protesters, and had his photography equipment seized and his home searched. He also reports he was offered money to spy on protestors. “Overall, journalists are a pretty resilient tribe,” Bruce Shapiro, executive director of the Dart Center for Journalism and Trauma at Columbia University, told [Freeman]. “Their rates of PTSD and depression are about 13 to 15 percent, which is comparable to rates among first responders. 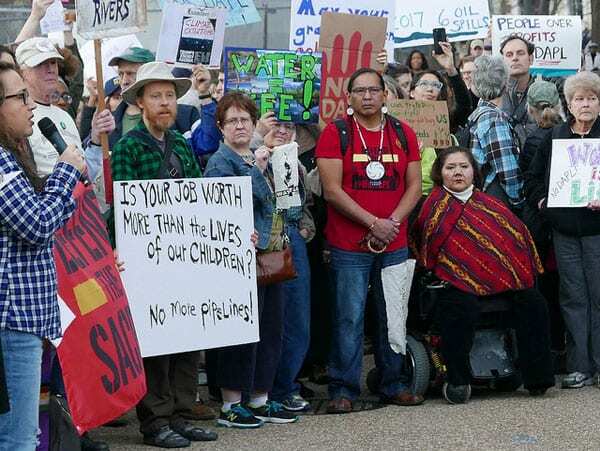 Environmental or social justice reporters often have a higher-than-average sense of mission and purpose and a higher level of skill,” beyond that of some of their peers on other beats. As with some military veterans, traumatized reporters may not seek help. Howe did not, for example, until a couple of years after he left journalism, and he regrets waiting. Are journalism professors and news editors aware of the dangers? Are they aware enough to provide training before assignments, and assistance after an assault?